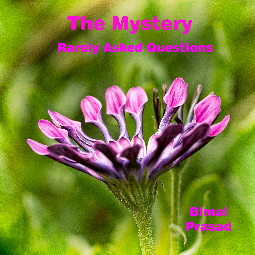 Continuing this new, short series presenting the booklet by Bimal Prasad, in which he answers some ‘Rarely Asked Questions’ on Life. Primarily from the perspective of Advaita, questions addressed include the nature of happiness, consciousness, mind and ego. There is also practical guidance on meditation in the final chapter. Answers are relevant and succinct, so that many of the issues of interest to the seeker are covered. This fifth part looks at how we can be ‘in the present’ and at how the mind functions. See the Contents List or go straight to Part 5 of the series. The complete (electronic form) booklet may also be purchased from Amazon.